Party Day in Room 2 was heaps of fun. 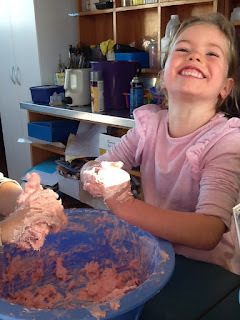 We played games, ate lots of yummy food, watched a video and had a refreshing swim before we went to final assembly. Thanks to all our parents for providing the delicious food. Merry Christmas everyone. We hope you all have happy and safe holidays with family and friends. On Monday we went up the back to watch the Senior Syndicate participate in lots of fun team games. They had to work together. We have had three swims this week. Everybody remembered to bring their togs. 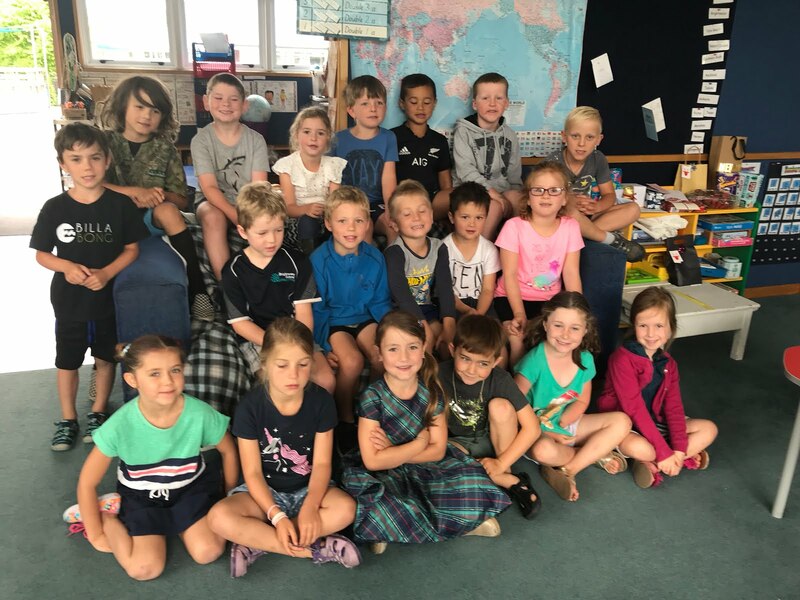 Brightwater School had a visit from two of the boats that will be racing up at Lake Rotoiti on 9-10 November this morning. They cost a lot of money and use a lot of petrol. Today we could come to school dressed in yellow because it was Daffodil Day. 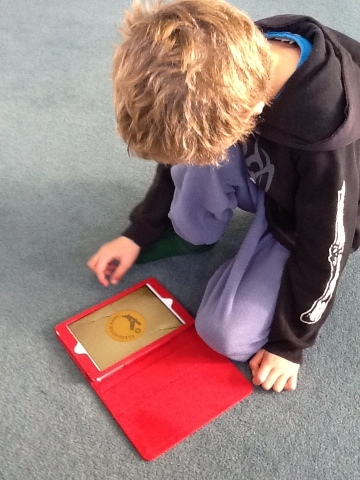 We brought coins to put on the coin trail as well. The school raised $341 which was awesome. Nearly everyone in our class knew someone who had been affected by cancer in some way. 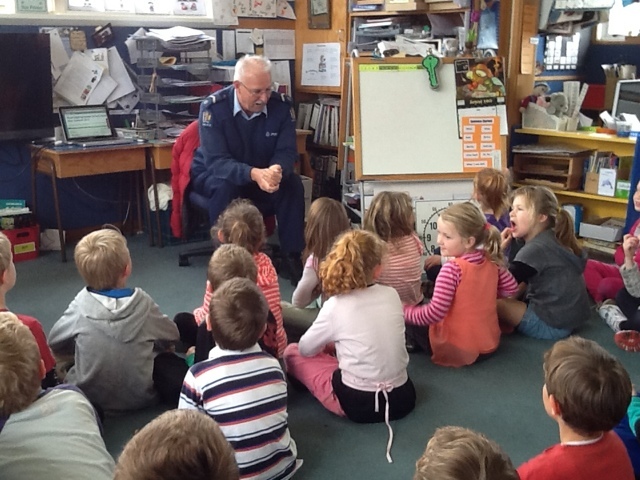 Today Constable McKitrick came to talk to us about touching we like and touching we don't like. Today we had a visit from Fireman Craig. 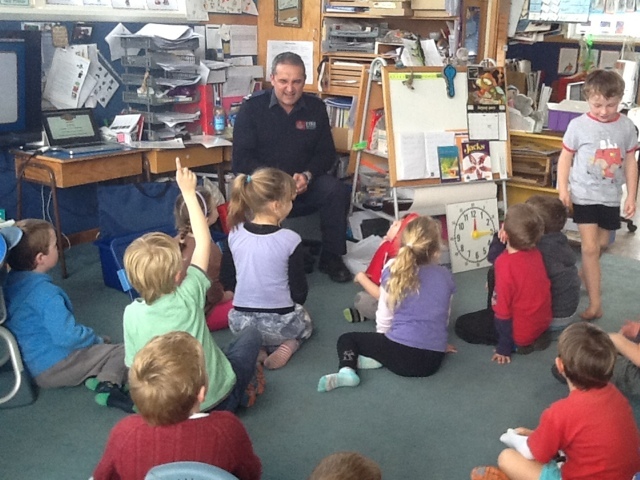 We learnt lots of things so we can be fire-wise kids. Go to our safe meeting place. Matches and lighters are not toys. Do not play with them. In a fire or an emergency always dial 111. Smoke alarms save lives. Are yours working? hollyskip from Sherryn LInes on Vimeo. Kate:holly363 from Sherryn LInes on Vimeo. trialplane from Sherryn LInes on Vimeo. Today at Discovery Time we had the children from the Dolphins reading group teaching us some new activities from the books they had been reading during the week. Harry was the Knuckle Bone teacher. Ben helped lots of people make paper planes. Before school kunckle bone fun. Lochie and RJ have fun flicking marbles. Breanna was the mind game expert. We will do some of these next week as a class. Jordy was the string games instructor. Blair from MoreFM came to Room 2 to ask us some questions. Listen to what we had to say. New Zealand Playhouse actors came to school today and performed "A Big Sad Wolf" before lunch. It was hilarious and we had lots of laughs. Some of the characters were Snow White, Red Riding Hood, Goldilocks, Grandma, Three Little Pigs and The Wolf. came to Room 2 to ask us some questions. Listen next week Monday-Friday at 3:20pm and 6:20pm to hear what we had to say. We have three new boys from Room 12 in our room. Welcome to Will, Callum and Jahcoby. We now have 26 kids. Today we welcomed Kirra to Room 2. She has come from Australia. Her Mum used to go to Brightwater School. 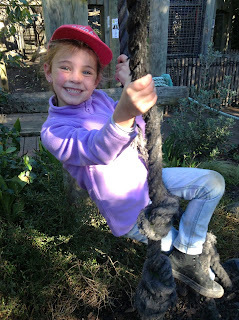 It was a great day to start because we spent the day at Natureland and the beach. Today we got a very special envelope in the mail. It had fantastic pictures all over it. 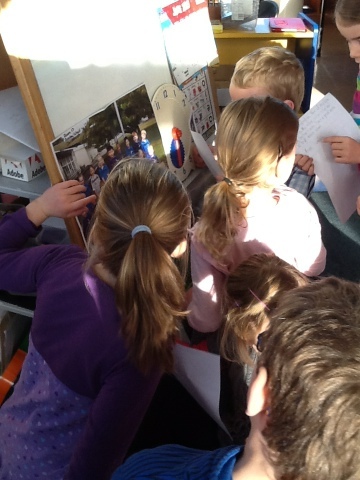 When we opened it up there were letters for every single person in our class and there were photos so we could see what our pen pals looked like. 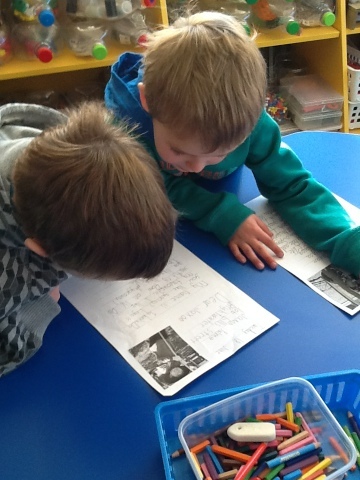 We were very excited reading our letters. 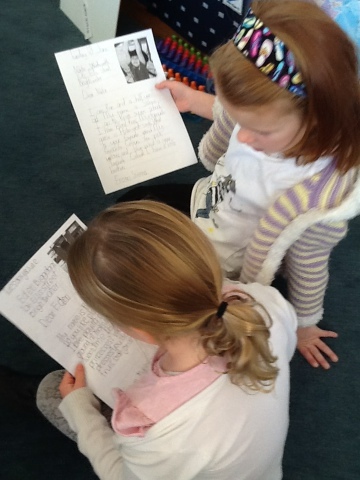 We will write back next week because we are going to Natureland tomorrow and we are hosting assembly this week so we are rather busy. We have made these fantastic fish with Mrs Inch. 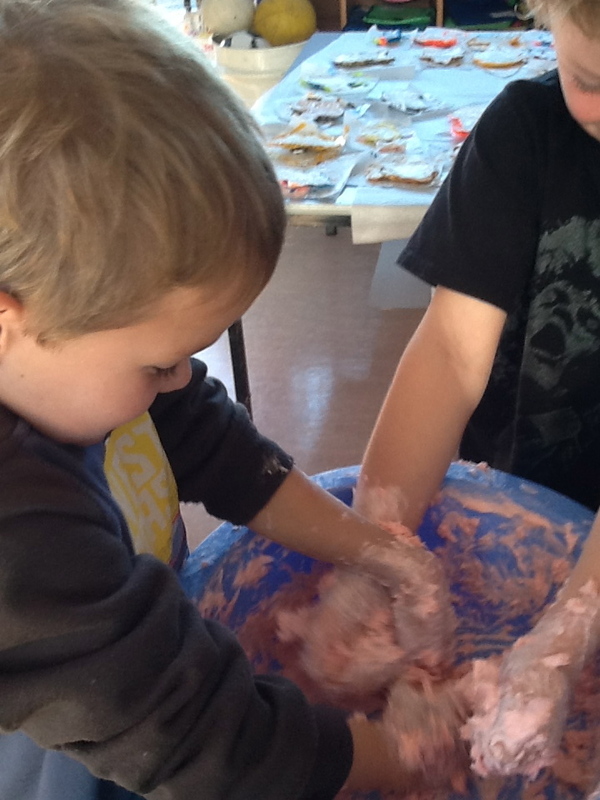 Breanna and Lucy made slime at discovery this morning. They put 1 cup of Luxflakes in the bowl with 1 cup of boiling water and some red food colouring. Then they beat it with the electric beater until it was thick. Lots of us had fun playing with it. It was gooey, sticky, slippery, slimy. 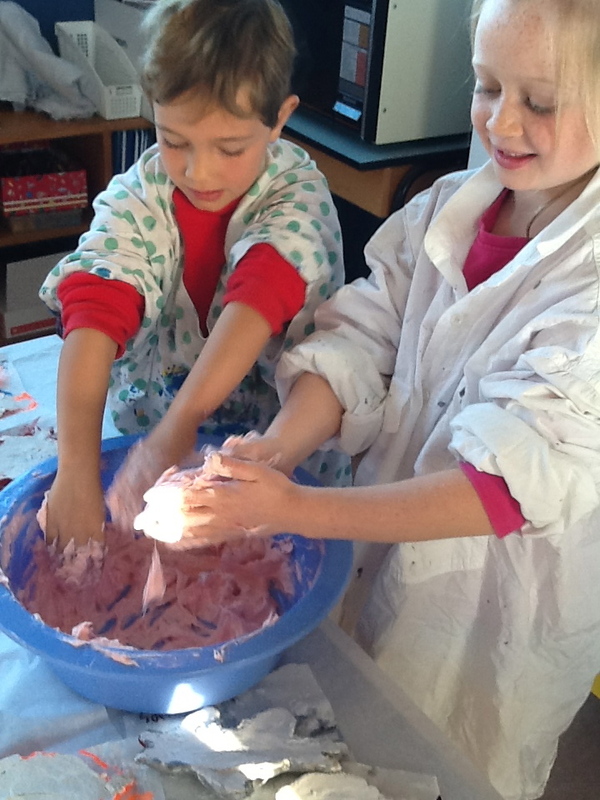 It smelt nice and made our hands feel smooth when we washed them. 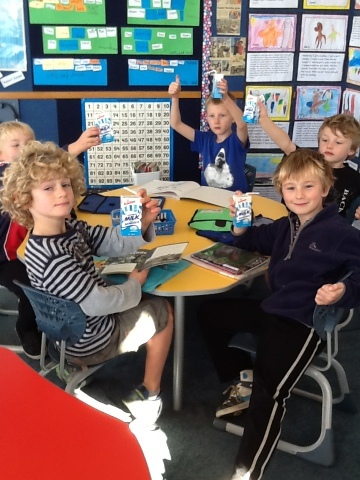 Today was the first day we had milk in our classroom. We had it straight after play when we were "Reading To Self". We also learnt how to fold the cartons for recycling. We will get faster at folding with more practise and we need to remember to drink every last drop of milk. We need to make sure the straw is right down in the bottom and to tip the carton towards us. 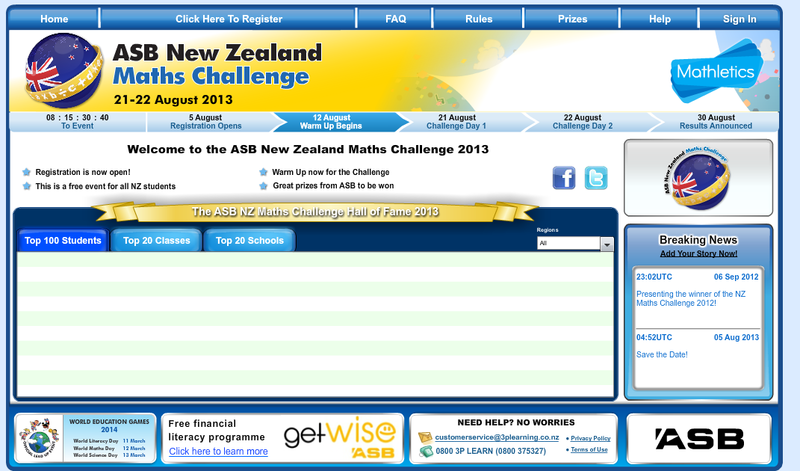 Thanks Fonterra. Today we got our new mini iPad. RJ was the lucky one to try it out for the first time. 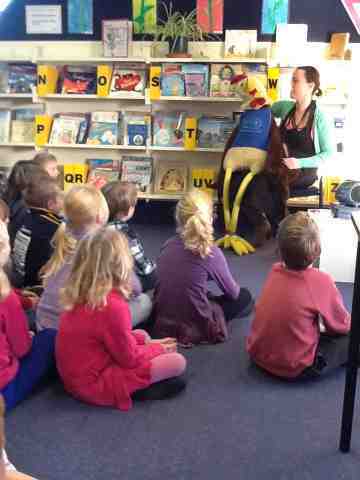 This morning we went to the library to see Booster Rooster and Vannessa from Plunket. We had to shout loud to wake Booster Rooster up. Booster Rooster told us it is safer to travel in the backseat. The new law says we need to be in a car seat or a booster seat until we are seven years old. Plunket recommends children travel in car seats or booster seats until they are 148cm tall. 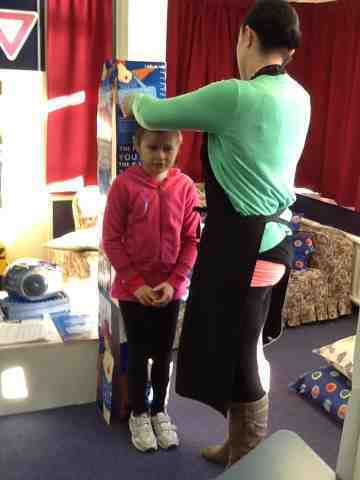 There were no children in Rooms 1,2 or 4 who were more than 148cm tall. Holly was only 132 cm tall so she should still use a booster seat to be really safe. lawn at night. It was hard to see amongst the brown leaves. Ms Lemon thinks it s a native NZ frog. RJ's Mum took it home to let it go.